Habits are the compound interest of self-improvement. The same way that money multiplies through compound interest, the effects of your habits multiply as you repeat them. They seem to make little difference on any given day and yet the impact they deliver over the months and years can be enormous. 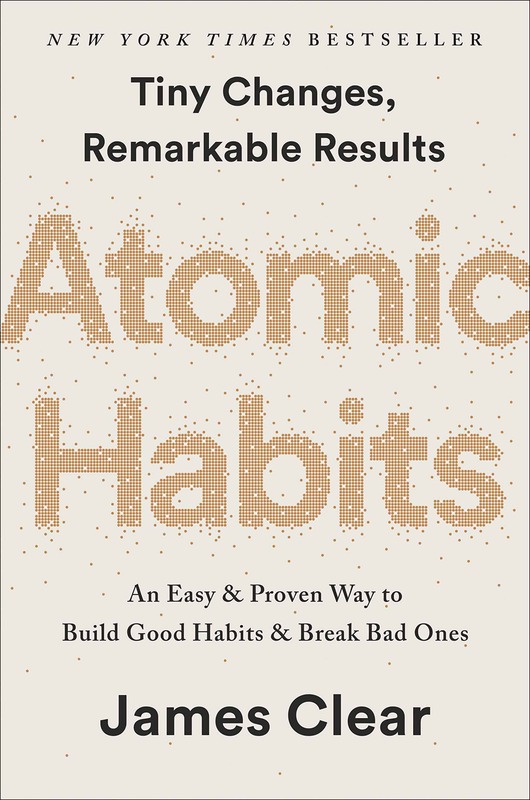 It is only when looking back two, five, or perhaps ten years later that the value of good habits and the cost of bad ones becomes strikingly apparent. …changes that seem small and unimportant at first will compound into remarkable results if you’re willing to stick with them for years. Time magnifies the margin between success and failure. It will multiply whatever you feed it. Good habits make time your ally. Bad habits make time your enemy. Relationships compound. People reflect your behavior back to you. The more you help others, the more others want to help you. Being a little bit nicer in each interaction can result in a network of broad and strong connections over time. If you find yourself struggling to build a good habit or break a bad one, it is not because you have lost your ability to improve. It is often because you have not yet crossed the Plateau of Latent Potential. Complaining about not achieving success despite working hard is like complaining about an ice cube not melting when you heated it from twenty-five to thirty-one degrees. Your work was not wasted; it is just being stored. All the action happens at thirty-two degrees. The goal is not to read a book, the goal is to become a reader. The goal is not to run a marathon, the goal is to become a runner. The goal is not to learn an instrument, the goal is to become a musician. Your behaviors are usually a reflection of your identity. There are three levels of change: outcome change, process change, and identity change. The most effective way to change your habits is to focus not on what you want to achieve, but on who you wish to become. Your identity emerges out of your habits. Every action is a vote for the type of person you wish to become. Becoming the best version of yourself requires you to continuously edit your beliefs, and to upgrade and expand your identity. These cognitive scripts can be followed automatically whenever the situation is appropriate. Now, whenever you feel stressed, you get the itch to run. Cravings are the second step, and they are the motivational force behind every habit. Without some level of motivation or desire—without craving a change—we have no reason to act. What you crave is not the habit itself but the change in state it delivers. You do not crave smoking a cigarette, you crave the feeling of relief it provides. You are not motivated by brushing your teeth but rather by the feeling of a clean mouth. You do not want to turn on the television, you want to be entertained. The cues that can trigger a habit come in a wide range of forms—the feel of your phone buzzing in your pocket, the smell of chocolate chip cookies, the sound of ambulance sirens—but the two most common cues are time and location. Implementation intentions leverage both of these cues. …people who make a specific plan for when and where they will perform a new habit are more likely to follow through. Too many people try to change their habits without these basic details figured out. We tell ourselves, “I’m going to eat healthier” or “I’m going to write more,” but we never say when and where these habits are going to happen. …the tendency for one purchase to lead to another one has a name: the Diderot Effect. The Diderot Effect states that obtaining a new possession often creates a spiral of consumption that leads to additional purchases. Get out of bed. Take a shower. Brush your teeth. Get dressed. Brew a cup of coffee. Eat breakfast. Take the kids to school. Start the work day. Eat lunch. End the work day. Change out of work clothes. Sit down for dinner. In 1936, psychologist Kurt Lewin wrote a simple equation that makes a powerful statement: Behavior is a function of the Person in their Environment, or B = f (P,E). It didn’t take long for Lewin’s Equation to be tested in business. In 1952, the economist Hawkins Stern described a phenomenon he called Suggestion Impulse Buying, which “is triggered when a shopper sees a product for the first time and visualizes a need for it.” In other words, customers will occasionally buy products not because they want them but because of how they are presented to them. In one study, scientists instructed insomniacs to get into bed only when they were tired. If they couldn’t fall asleep, they were told to sit in a different room until they became sleepy. Over time, subjects began to associate the context of their bed with the action of sleeping, and it became easier to quickly fall asleep when they climbed in bed. It is easier to associate a new habit with a new context than to build a new habit in the face of competing cues. It can be difficult to go to bed early if you watch television in your bedroom each night. Small changes in context can lead to large changes in behavior over time. Every habit is initiated by a cue. We are more likely to notice cues that stand out. Make the cues of good habits obvious in your environment. Gradually, your habits become associated not with a single trigger but with the entire context surrounding the behavior. The context becomes the cue. It is easier to build new habits in a new environment because you are not fighting against old cues. Researchers refer to this phenomenon as “cue-induced wanting”: an external trigger causes a compulsive craving to repeat a bad habit. Once you notice something, you begin to want it. This process is happening all the time—often without us realizing it. Scientists have found that showing addicts a picture of cocaine for just thirty-three milliseconds stimulates the reward pathway in the brain and sparks desire. This speed is too fast for the brain to consciously register—the addicts couldn’t even tell you what they had seen—but they craved the drug all the same. If you can’t seem to get any work done, leave your phone in another room for a few hours. If you’re continually feeling like you’re not enough, stop following social media accounts that trigger jealousy and envy. If you’re wasting too much time watching television, move the TV out of the bedroom. If you’re spending too much money on electronics, quit reading reviews of the latest tech gear. If you’re playing too many video games, unplug the console and put it in a closet after each use. Once a habit is formed, it is unlikely to be forgotten. People with high self-control tend to spend less time in tempting situations. It’s easier to avoid temptation than resist it. One of the most practical ways to eliminate a bad habit is to reduce exposure to the cue that causes it. Self-control is a short-term strategy, not a long-term one. When it comes to habits, the key takeaway is this: dopamine is released not only when you experience pleasure, but also when you anticipate it. Gambling addicts have a dopamine spike right before they place a bet, not after they win. Cocaine addicts get a surge of dopamine when they see the powder, not after they take it. Whenever you predict that an opportunity will be rewarding, your levels of dopamine spike in anticipation. And whenever dopamine rises, so does your motivation to act. It is the anticipation of a reward—not the fulfillment of it—that gets us to take action. Temptation bundling works by linking an action you want to do with an action you need to do. In Byrne’s case, he bundled watching Netflix (the thing he wanted to do) with riding his stationary bike (the thing he needed to do). Temptation bundling is one way to apply a psychology theory known as Premack’s Principle. Named after the work of professor David Premack, the principle states that “more probable behaviors will reinforce less probable behaviors.” In other words, even if you don’t really want to process overdue work emails, you’ll become conditioned to do it if it means you get to do something you really want to do along the way. The habit stacking + temptation bundling formula is: After [CURRENT HABIT], I will [HABIT I NEED]. After [HABIT I NEED], I will [HABIT I WANT]. The 2nd Law of Behavior Change is make it attractive. The more attractive an opportunity is, the more likely it is to become habit-forming. Habits are a dopamine-driven feedback loop. When dopamine rises, so does our motivation to act. It is the anticipation of a reward—not the fulfillment of it—that gets us to take action. The greater the anticipation, the greater the dopamine spike. Temptation bundling is one way to make your habits more attractive. The strategy is to pair an action you want to do with an action you need to do. Nothing sustains motivation better than belonging to the tribe. It transforms a personal quest into a shared one. Previously, you were on your own. Your identity was singular. You are a reader. You are a musician. You are an athlete. When you join a book club or a band or a cycling group, your identity becomes linked to those around you. Growth and change is no longer an individual pursuit. We are readers. We are musicians. We are cyclists. The shared identity begins to reinforce your personal identity. This is why remaining part of a group after achieving a goal is crucial to maintaining your habits. It’s friendship and community that embed a new identity and help behaviors last over the long run. The culture we live in determines which behaviors are attractive to us. We tend to adopt habits that are praised and approved of by our culture because we have a strong desire to fit in and belong to the tribe. We tend to imitate the habits of three social groups: the close (family and friends), the many (the tribe), and the powerful (those with status and prestige). One of the most effective things you can do to build better habits is to join a culture where (1) your desired behavior is the normal behavior and (2) you already have something in common with the group. The normal behavior of the tribe often overpowers the desired behavior of the individual. Most days, we’d rather be wrong with the crowd than be right by ourselves. If a behavior can get us approval, respect, and praise, we find it attractive. Say you want to feel happier in general. Find something that makes you truly happy—like petting your dog or taking a bubble bath—and then create a short routine that you perform every time before you do the thing you love. Maybe you take three deep breaths and smile. Three deep breaths. Smile. Pet the dog. Repeat. The inversion of the 2nd Law of Behavior Change is make it unattractive. Every behavior has a surface level craving and a deeper underlying motive. Your habits are modern-day solutions to ancient desires. The cause of your habits is actually the prediction that precedes them. The prediction leads to a feeling. Highlight the benefits of avoiding a bad habit to make it seem unattractive. Habits are attractive when we associate them with positive feelings and unattractive when we associate them with negative feelings. Create a motivation ritual by doing something you enjoy immediately before a difficult habit. Each time you repeat an action, you are activating a particular neural circuit associated with that habit. This means that simply putting in your reps is one of the most critical steps you can take to encoding a new habit. It is why the students who took tons of photos improved their skills while those who merely theorized about perfect photos did not. One group engaged in active practice, the other in passive learning. One in action, the other in motion. There is nothing magical about time passing with regard to habit formation. It doesn’t matter if it’s been twenty-one days or thirty days or three hundred days. What matters is the rate at which you perform the behavior. You could do something twice in thirty days, or two hundred times. It’s the frequency that makes the difference. Your current habits have been internalized over the course of hundreds, if not thousands, of repetitions. New habits require the same level of frequency. You need to string together enough successful attempts until the behavior is firmly embedded in your mind and you cross the Habit Line. The 3rd Law of Behavior Change is make it easy. The most effective form of learning is practice, not planning. Focus on taking action, not being in motion. Habit formation is the process by which a behavior becomes progressively more automatic through repetition. The amount of time you have been performing a habit is not as important as the number of times you have performed it.